An estimated 60% of Americans are overweight and 25% are obese. Obesity can be measured in several ways. One method states that if a person weighs more than 20% of the ideal weight according to the height/weight chart, the person is obese. This method does not take into account an athlete who may weigh more than a nonathlete because of muscle, not fat. Another method of measuring obesity is to measure percentage of body fat. If a person's body fat is more than 25% for a man or 30% for a woman, that person is considered obese. A third method bases obesity on a calculation called the body mass index (BMI). This index calculates a ratio of body weight to height and attempts to adjust for body size. According to the World Health Organization, obesity has become a worldwide problem that has significant effects on health. Problems that were once considered limited to developed or industrialized countries now affect everyone. Because of obesity, the incidence of diseases such as heart disease, type 2 diabetes mellitus, and hypertension has increased around the world. Obese individuals are also prone to pulmonary disease, varicose veins, and gallbladder disease. They have an increased risk of breast, uterine, and colon cancers. There are many reasons why people may become obese. A small number of people are genetically programmed to convert nutrients to fat, no matter what. These people probably eat less than normal and still gain weight. Another group of people cannot control their eating, sometimes consuming 20,000 calories at one meal. Even fewer people have a very low metabolic rate because of thyroid problems and cannot metabolize nutrients properly. The incidence of obesity has increased for a variety of reasons. As modern conveniences in the home and workplace have spread, so has a more sedentary lifestyle. People ride or drive rather than walk. Many people have desk jobs instead of doing manual labor. More people watch sports instead of participating in them. Many others have to schedule time to exercise, instead of it being a natural part of their lives. 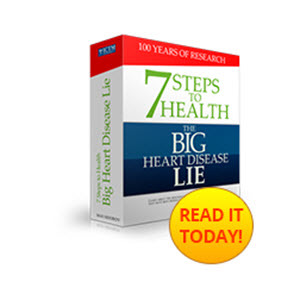 Over many years, fat has become a principal component of people's diets. In the past, humans developed methods of conserving fat to survive possible famines. Although people have increased their consumption of fat, they still have metabolisms that conserve fat whenever possible. Diets high in fat are valued in developing countries and have replaced local diets that have been in place for centuries. 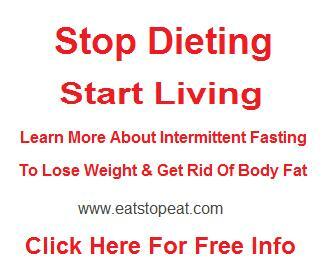 The simplest way to prevent being overweight or obese is to eat less and exercise more. Some weight reduction programs have helped people lose weight through behavioral modification, which involves psychological counseling and exercise to achieve weight loss. Eating a very low-calorie diet can also help people lose weight. These programs usually last about twelve weeks and must be conducted under medical supervision. Some people resort to diet suppressant drugs, but nearly all of these drugs have been found to have harmful side effects and should not be taken for weight loss. Diuretics provide short-term weight loss through loss of water; however, this can lead to dehydration, potassium loss, and central nervous system complications. The weight is immediately regained when the person is rehydrated. A more radical method of weight loss involves surgery. This method should only be used when the person is morbidly obese, meaning more than 100 pounds overweight, and when other methods have been unsuccessful. Several surgical interventions exist. All of the procedures limit the amount of food that can be taken into the digestive tract or limit the absorption of nutrients once the food gets into the system. In one procedure, a band, called an adjustable gastric band, can be placed around the stomach. This band can be tightened or loosened as needed to restrict the size of the stomach. 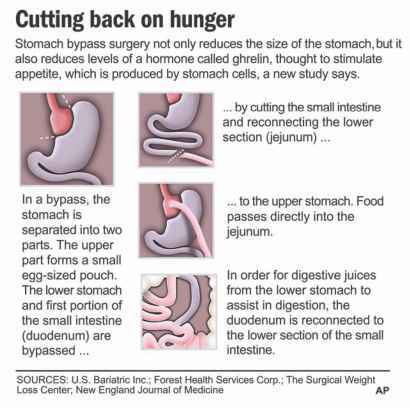 A more radical procedure, called a gastric bypass, involves stapling part of the stomach to make a smaller pouch and attaching a segment of the small intestine to this pouch (Figure 8.1). This method limits both the amount taken into the stomach and the amount of nutrients that can be absorbed through the small intestine. A third surgical method, called vertical banded gastroplasty, makes a small stomach within the stomach that restricts the amount that can be eaten. If too much is ingested, the person vomits it back out. Actual removal of fat is achieved through liposuction and plastic surgery. These methods do not affect future eating, but remove existing fat. Figure 8.1 Gastric bypass surgery is a radical way to fight obesity by making the stomach smaller. Although drastic, it has worked for some people. 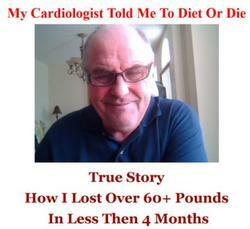 It is only recommended for individuals who are more than 100 pounds overweight. rice, and pasta are grouped together because the government recommends eating 6-11 servings from that food group. The second biggest tier consists of vegetables and fruit, of which people should eat 5-7 servings. From the next tier, consisting of milk, yogurt, cheese, meat, fish, poultry, eggs, nuts, and dry beans, people should eat 4-6 servings. The top tier, of which people should eat very little, consists of fats, oils, and sweets. These symbols slttw fat and added sugars in foods. 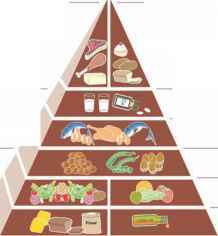 What is the Food Guide Pyramid? The Pyramid is an outline of what to ear :\i;-|i day. It's nor a rigid prescription, hut a general guide that lets yen choose a healthful diet that's right for you. The Pyramid calls for eating a variety of foods to get the nutrients you need and at the same Time the right amount of calories to maintain or improve your weight. most American diets arc loo high in fal, especially saturated fat. 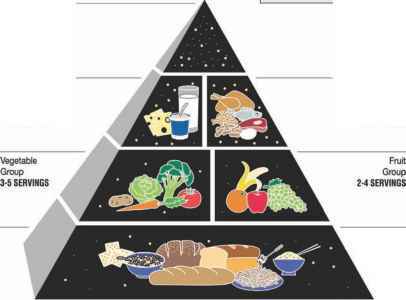 Figure 8.2 The original food pyramid (a) created by the United States government urges Americans to eat from each of the 5 basic food groups each day. These groups include the bread, cereal, rice and pasta group; the vegetable group; the fruit group; the dairy group; and the meat, poultry, fish, dry beans, eggs, and nuts group. decrease in both of these diseases. Unfortunately, the Food Guide Pyramid may be related to a dramatic increase in two other condition that have even more far-reaching effects than heart attacks and strokes. The incidence of obesity and type 2 diabetes mellitus has increased dramatically in the United States. Approximately 20% of the U.S. population is obese. The number of individuals who are merely overweight is considerably higher. Diabetes is a condition where the body does not break down glucose, and thus the glucose cannot be used to produce energy. There are two major types of diabetes: type 1 and type 2. Type 1 diabetes, which accounts for 10% of people with diabetes, is a disease in which the body does not produce any insulin. The recommended numbers of servings are listed with each group, and fats, oils, and sweets are to be used sparingly. A new food pyramid (b), designed by researchers at Harvard University, suggests that Americans need to eat more whole grains, fruits, and vegetables, and less red meat and refined grains. 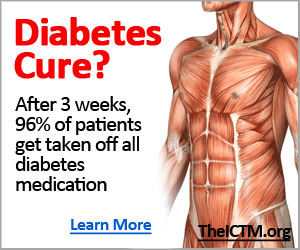 Individuals with this condition must take insulin injections. Type 2 diabetes, which accounts for 90% of people with diabetes, is a condition in which the body produces insulin, but in amounts that are inadequate for the body, or in which the insulin receptors do not work properly. Most people with type 2 diabetes are overweight. The increased body weight and sedentary lifestyles of many individuals are believed to be significant contributors to the development of type 2 diabetes. Since the Food Guide Pyramid was first recommended, research at the Harvard School of Public Health has revealed that the 1992 recommendations were based on some faulty assumptions, and thus the researchers developed a second food pyramid (Figure 8.2b). The original pyramid recommendations were based on the assumption that all fats and carbohydrates are equal: All fats are bad, and all carbohydrates are good. In reality, some fats may actually improve health, while many carbohydrates create conditions that ultimately harm the body. Fats or oils derived from plants tend to have unsaturated fatty acids that are healthier than animal derived fats that are high in saturated fatty acids. What is obesity biology nutrition?